Tomorrow is the Annual General Meeting of the HOPE Cape Town Association, the working arm of HOPE Cape Town which consists of two arms: aforesaid HOPE Cape Town Association which is combining all the project work on the ground and HOPE Cape Town Trust, which is leading in fundraising and marketing of the work done. Together with the German AIDS Foundation, the HOPE Cape Town Trust has a common “child”, called HOPE Kapstadt Stiftung, a dependent trust governed by German law. To complete the picture the HOPE Cape Town family has also very close relatives: the Kuratorium Deutschland, which relates to the HOPE Cape Town Trust and is looking together with Viola Klein to support the HOPE Gala Dresden (26.10.2013). The Freundeskreis HOPE Cape Town Trust Olching e.V. is another German and Bavarian support group of the HOPE Cape Town Trust. Not to forget HOPE & Future e.V. 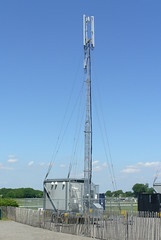 in Münster (Germany), which is an essential part of our supporting family. And we HOPE to give birth in the near future also to an US American entity relating to HOPE Cape Town. And locally our brainchild is also the Ball of HOPE together with the Southern-African – German Chamber of Commerce and Industry, next year taking place on the 11th of May 2014. There is the idea of spreading the word about the “friends of HOPE Cape Town” and if you think, you can get some people together forming a small group supporting the goals of HOPE Cape Town, then feel free to contact me for further information. HOPE Cape Town depends like any other public benefit organization on the support of many – so HOPE Cape Town understands itself as much more than a local organization – we are a network of people trying to better the lives of South African’s living with HIV and TB and everything related to it. For all donations and donations to capital applies in Germany and South Africa: We are able to issue a tax-deductible receipt for the respective county. I recently came across an opinion piece from Preston Mitchum, a policy analyst for LGBT issues. He reflects on the question how people use the wording” HIV negative” almost as a hideout for not getting tested. But telling his own story about dating a person being HIV positive and rejecting him, he touches on the whole question of maturity and discrimination. We as church always emphasis not being judgmental and not discriminating against somebody being positive. I remember a talk in a Secondary School for girls here in Cape Town where I discussed with the students the question of stigma and discrimination in the context of HIV and AIDS. And being assured from all present that discrimination would never be an option for themselves, especially being students in a Catholic school, I dared to ask who of them would have the courage to take a boyfriend who is HIV positive. There was silence and from more than 200 girls only one hand was raised. I am convinced that we start tackling stigma and discrimination when starting to deal with our own fears, when we confront ourselves with all our hidden anxieties and when we are able to be honest about it looking into a mirror. The honest testimony of Preston might be helpful to reflect on our own standing when it comes to stigma and discrimination in our own midst. A policy analyst for LGBT issues confronts his fears about HIV testing. 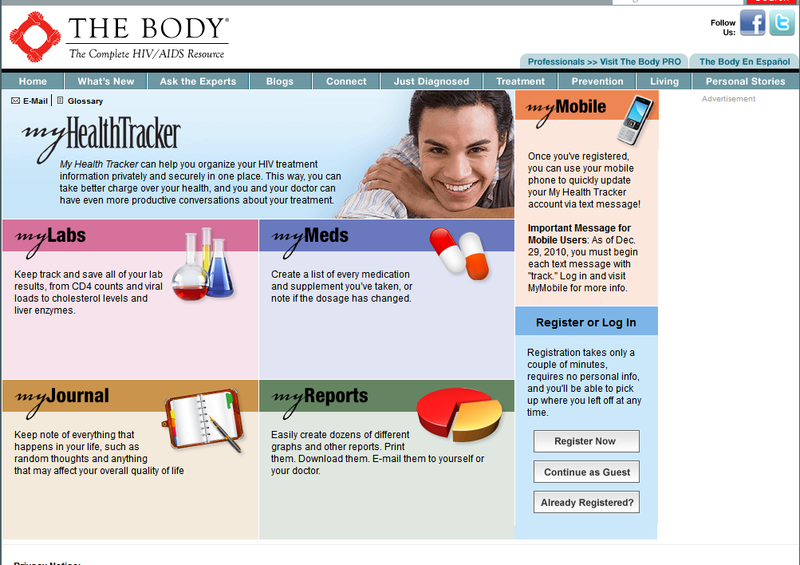 My Health Tracker is a webpage under the “thebody.com” and it can help you organize your HIV treatment information privately and securely in one place. This way, you can take better charge over your health and keep track on what you are doing and how you take your medication.Whether with computer or cellphone or mobile tablet – all these items turn into a source of support. My labs keep track of your laboratory blood results, My meds helps you to list all your medication taken. My journal allows for a sort of diary and My reports let one create various graphs and reports to be printed out and take for example with to your doctor. In one word: An amazing helpful website recommended for those anyhow connected to internet via modern communication tools. And frankly: most people even in South Africa have a cellphone which can be used for social networks like Facebook. So it is simple just to add another and this time life-supporting tool for those living with the HI virus. To get to the relevant page click here.